THIS BEAUTIFUL NATURAL STONE HAS BEEN SUPPLIED TO BUILDERS AND LANDSCAPERS ACROSS AUSTRALIA BY GOSFORD QUARRIES SINCE 1922. DURABLE, STRONG AND STUNNING, THIS BUILDING MATERIAL IS IDEAL FOR ANY OUTDOOR DESIGN. Gosford Quarries and GQ Products have the largest product range of natural sandstone for you to enjoy. With access to nine prestigious Australian quarries, we can provide our valued clients with the highest quality products and services. As such a versatile product, sandstone is an ideal material for a variety of applications within the landscaping sector in Sydney and beyond. Available in a myriad of finishes, shapes and colours, this natural material is one of the most popular landscaping products in the country. GQ Products include a number of raw sandstone building materials perfect for different landscaping projects. 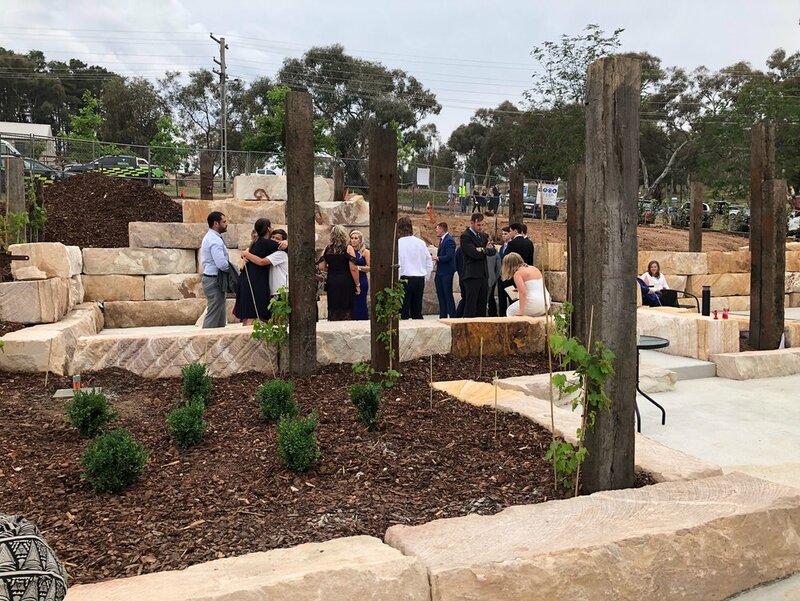 Blacktown Spec Crushed Stone, loose rock, boulders, gabions, and sand and ballast pieces are the ultimate sandstone products for filtration systems, retaining walls and other garden designs. Gosford Quarries process sandstone with the latest technology, retaining the highest benchmark of quality [SW1] with each piece of stone. 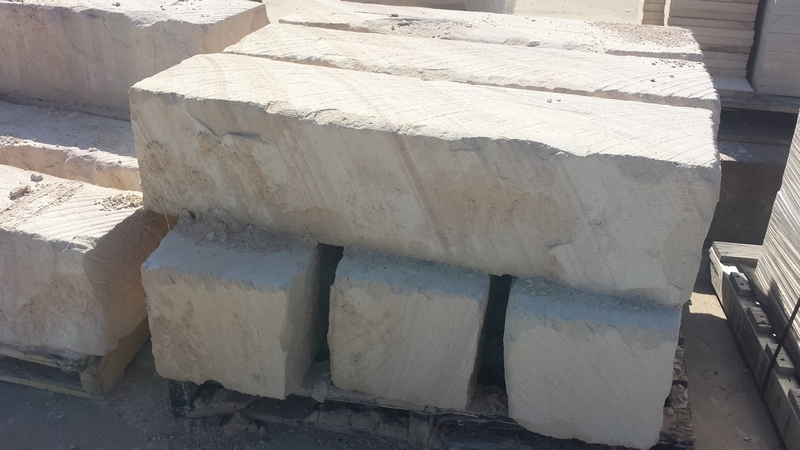 Our sandstone logs, pavers, capping and blocks are cut in standard sizes as well as custom sizes for your particular project. GQ have developed a name as the leading sandstone landscaping products supplier in Australia through our unmatched services. There is nothing we cannot do thanks to our years of experience and constantly evolving technology. Our intricate processing systems allow us to provide the civil landscaping industry with 100% quality tested materials. We consistently produce raw materials that are trusted and durable. Gosford Quarries has exclusive access to some of the most renowned quarries in the country. 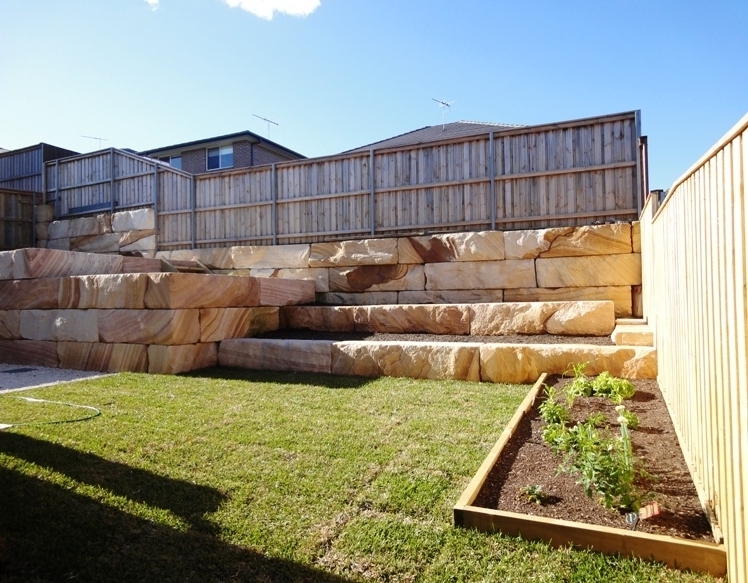 This allows us to offer the widest selection of sandstone colours across Australia. Access to stone from quarries such as Mt White, Mangrove Mountain, Wonabyne, Piles Creek, Gosford Buff, Cattai, East Kurrajong (and many more). With such an abundance of resources at our disposal we are able to provide export quality stone. Being local helps our valued clients with their transportation logistics. At GQ we are continually researching and developing ways to reduce your projects’ expenses whilst not compromising on the final outcome. We have a personal vested interest in your business as the most trusted sandstone provider in the country. Knowing that your products are close by can assure you that your deadlines will be met every time. Working with real, 100% Australian sandstone will ensure that your landscaping projects are built to last. Choose a showroom close to you in NSW, VIC or QLD and see the quality of GQ Products first hand. Contact your nearest showroom to find out more about the landscaping applications of sandstone. GQ Products add value to your project and the property of the owner.